KAMPALA – On the political scene, the emergence of People Power led by Kyadondo East MP Robert Kyagulanyi aka Bobi Wine was the biggest talking point in 2018. However, another key game changer in the politics of the country was the decision by former Forum for Democratic Change (FDC) president Maj Gen (Rtd) Mugisha Muntu to confirm his departure from the opposition political party. In his four-page statement released on Tuesday, September 26, Gen Muntu said he resolved to leave the party after making countrywide consultations from which he discovered that there were irreconcilable differences with the current party leadership under Mr Patrick Amuriat. “There is a nationwide recognition of the fact that FDC is fractured. During all our consultation meetings, everyone that spoke admitted to or spoke of an internal rift in ideology,” Gen Muntu’s statement reads in part. He adds that most of many of the party members are frustrated, by the way, things are being run by the current party leadership or with the way things were being run undermine. “There is a strong desire among many party members for the reconciliation of the two major outlooks within the party. However, in spite of the good intentions, it has been our experience that simply reconciling for the sake of reconciliation is neither sustainable nor even ideal,” Gen Muntu said. The former army commander also revealed that there is a political void, which cannot be filled by the current strategy used by Mr Amuriat in FDC. “Our reading of the current political situation in the country is that there is a political void that is not being filled by the party’s current strategy. We believe that this vacuum needs to be filled as soon as possible by approaching our leadership problem from a different perspective,” he said. While to many this was long overdue, the move took the FDC party by surprise. Although the party openly claimed that Muntu’s departure, the party members began on galvanizing their party structures, especially the grassroots. 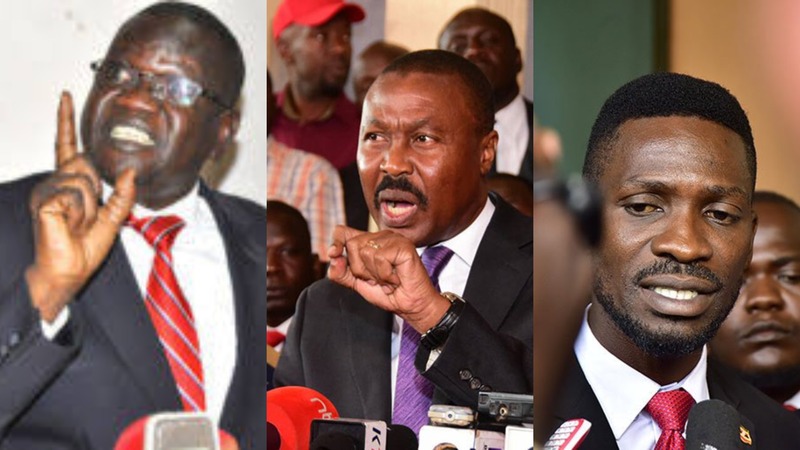 The news that Gen Muntu had broken away with some senior party members, especially FDC MPs, forced the party to dash to the grassroots to assess its structures. In Mbarara District, the news that over 10 FDC district leaders had joined Muntu forced party leaders to dash there, hold meetings and dispel the news. The party then announced an audit of the members of the party to establish their allegiance after to the opposition party. In an October 1 letter, FDC Secretary General Nathan Nandala Mafabi directed all party leaders to indicate in writing whether they still belong to the Patrick Amuriat-led party. Failure to do so within fourteen (14) days was to be treated as a renouncement of party membership. “Following these political events in the party, it has been decided to undertake a membership audit at all leadership and elective levels. This is to request all party leaders and elected officials on the party mandate to indicate to the party, in writing whether they are still members of the Forum for Democratic Change within fourteen (14) days. Non-response will be treated as the renouncement of membership,” the letter adds. Party spokesperson Ibrahim Ssemujju Nganda said party officials could not be on two sides; serving FDC and at the same time serving Gen Muntu. He said all those willing to join Gen Muntu should officially announce their departure to the public so that the party replaces them with the people who believe in the similar strategy and willing to work for them. Then senior party leaders began attacking Gen Muntu. The FDC vice president for eastern region, Ms Salaamu Musumba, said Maj Gen (Rtd) Mugisha Muntu lacks the credentials to lead Uganda. Speaking at the closure of a media training organized by Uganda Media Development Foundation in Jinja, Ms Musumba said Gen Muntu is not competent to lead the country. “How will you assure Ugandans that you will manage this nation if you failed a small party? You have failed to reconcile with your fellow party founders and now desire to become President of Uganda!’’ Ms Musumba said. However, analysts urged FDC to accept that politics in the country has changed. The chief executive officer of Research World International (RWI), Dr Patrick Wakida, said the decision by Gen Mugisha Muntu to leave the Forum for Democratic Change (FDC) showed that there is power shift in the leadership of the opposition in the country. Dr Wakida said even with the emergence of People Power under Robert Kyagulanyi aka Bobi Wine, party leaders should understand that opposition politics in the country is metamorphosing. “Individuals have got ambitions and many people in FDC have ambitions. The FDC as a party has grown and new leaders are emerging every day, this increases friction,” he said on Thursday morning while appearing on NTV Morning show. “The problem we are facing is bigger than us, the country is bigger than us. Hon. Kyagulanyi has managed to demonstrate that he can represent the views of the people, and people now follow him,” he added.